Prof. Wenting Sun received his B.E. and M.E. degrees from Tsinghua University, Beijing in 2005 and 2007, respectively, and his Ph.D. degree from Princeton University in 2013. He joined Georgia Tech in July 2013. 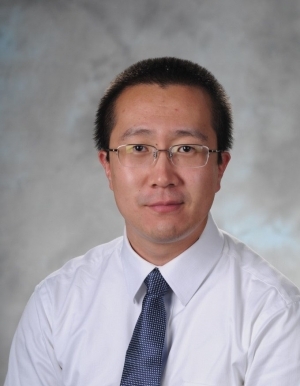 Dr. Sun’s research spans on combustion simulation, combustion kinetics, and plasma/ozone assisted combustion. He develops new numerical algorithms to accelerate large scale CFD simulation using predictive kinetic models. His work on plasma/ozone assisted combustion is to induce plasma generated species into combustion system to enable combustion at extreme conditions. Dr. Sun has developed a high pressure shock tube with unique capability allowing investigation of combustion kinetics for future power generation systems.